JULY 2013: Let Freedom Ring! “We the People of the United States,” are a set of powerful words that Thomas Jefferson drafted between June 11th and June 28th in the Founding Year of our nation … 1776. The Declaration of Independence is the nation’s most cherished symbol of liberty and Jefferson’s most enduring monument. Jefferson dignified memorable phrases, while he expressed the convictions in the minds and hearts of the American people. He summarized a philosophy of “self-evident truths” and set forth a list of grievances against the King in order to justify, before the world, the breaking of ties that needed to occur. Did you know that when you go to Washington, DC, you can view the Declaration of Independence at The National Archives Building? 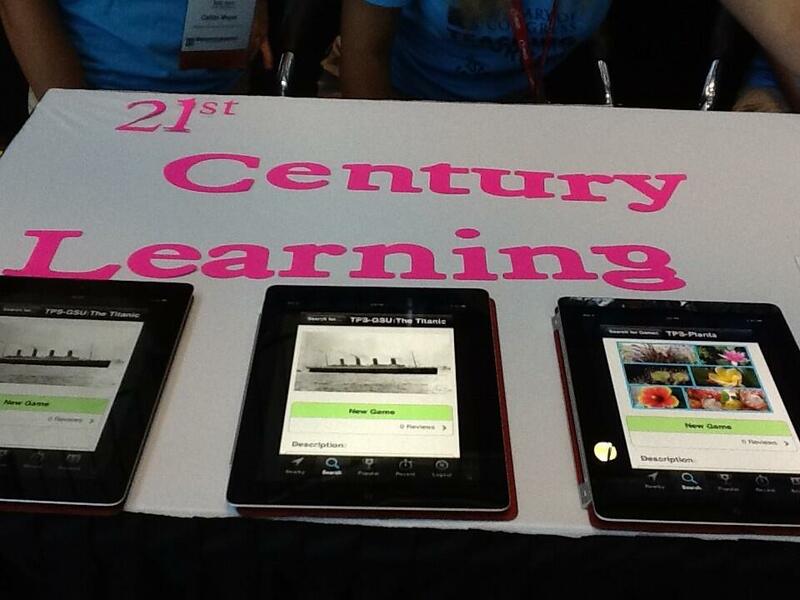 BRING YOUR CLASSROOM ALIVE WITH PRIMARY SOURCES! ==>Don’t delay … Be one of first 20 applicants and your tuition will be paid! You’re a Grand Old Flag by Lindsay Lewkowski . This lesson is designed to help middle school age students understand the history and etiquette behind the American flag. Sacrifice: Support on the Home Front by Cheryl O’Brien. 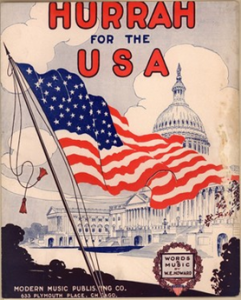 This lesson plan is intended to give 6-8th grade social studies students more in-depth information on citizens’ contributions to the war effort during World War II and through that, a comparison of lifestyles and attitudes at that time as opposed to now. The Real American Cowboys by Kelli Nelson. This unit is designed for 6-12th grade English and history students. In this project, students explore the roles and realities of the American cowboy. HUNGRY FOR GAMES IN AUGMENTED REALITY? 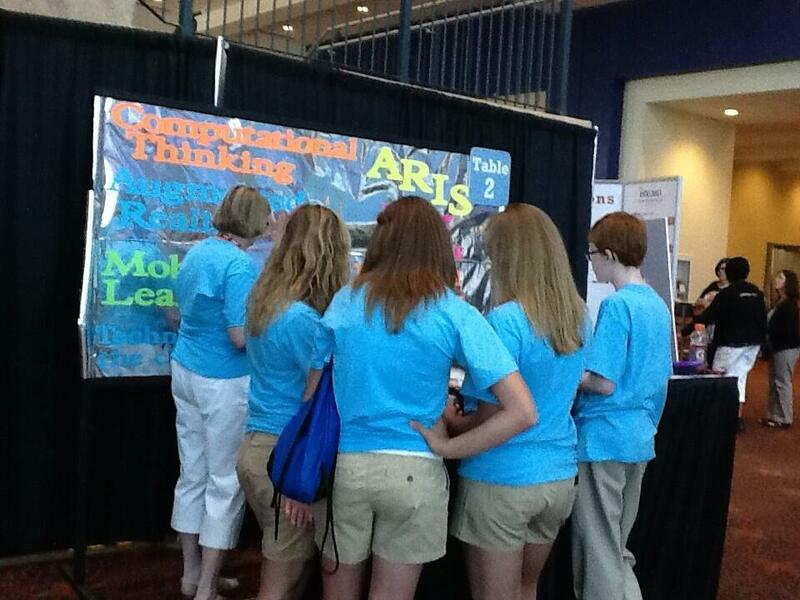 The TPS-GSU Trainers supported three middle school students from Manteno, IL, and one middle school student from Frankfort, IL, to be featured in a Student Showcase presentation at ISTE 2013 in San Antonio, TX, this past month … June 23, 2013. The students explained to educators how they created historical thinking games using Primary Sources from the Library of Congress, combined with the technology from the Augmented Reality Interactive Storytelling (ARIS) app. 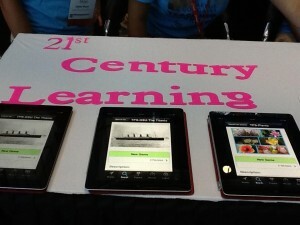 These students demonstrated computational thinking skills and deeper learning using these advanced tools that deserves recognition. 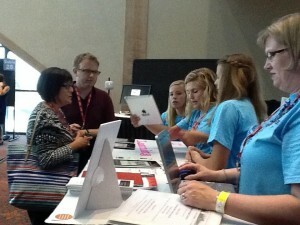 We are so proud of all the students who participated in ISTE … more than 13,000 participants at the conference this year. In particular … we offer special congratulations to our very own TPS-GSU students who participated in the ISTE Conference just last month. As promised, here are a few photos of these terrific young people!